Saddle Tie Mounts from Secure™ Cable Ties are designed for maximum stability when securing cable bundles. 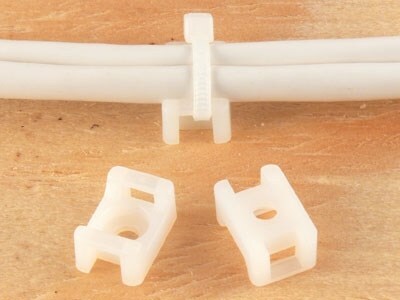 Simply fix the saddle mount with a screw to a near by stud and secure your cable bundle with a Secure™ Nylon Cable Tie. All Secure™ Saddle Tie mounts have a UL 94V-2 Flame rating while coming in a standard natural color.